Insurance concept makes sense and can be beneficial to people in helping them with disastrous situations. Most of the team has aged LinkedIn profiles with some past in the technology industry. 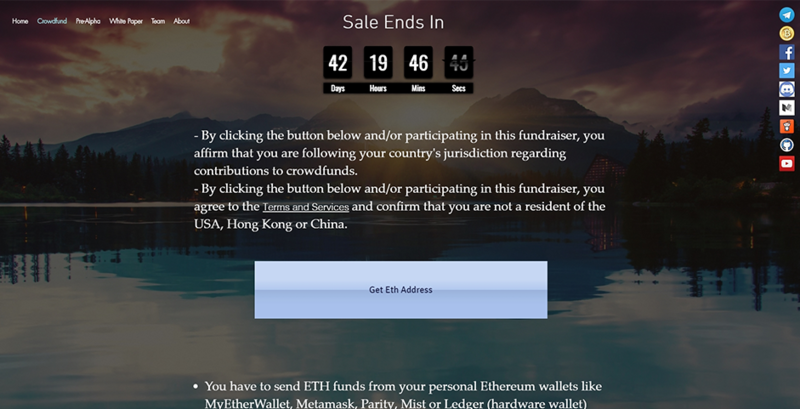 Alpha version of the product exists and has development records. 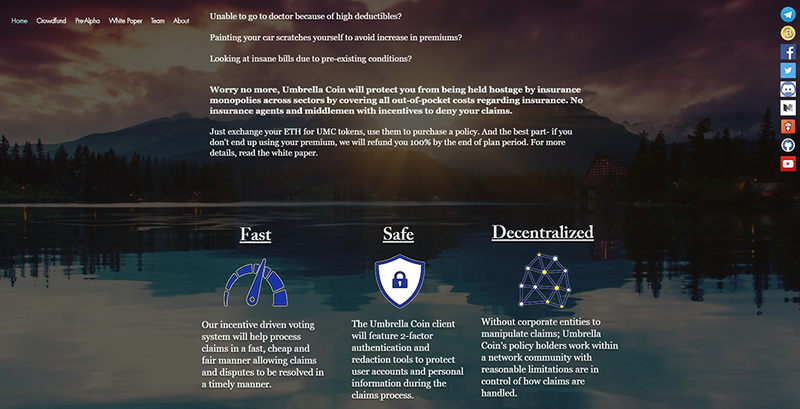 Umbrella Coin will protect you from being held hostage by insurance monopolies across sectors by covering all out-of-pocket costs regarding insurance. No insurance agents and middlemen with incentives to deny your claims. The process is powered and voted by the Umbrella Coin community. Video was made using a cheap commonly used template. Not a big deal but could have been more professional. 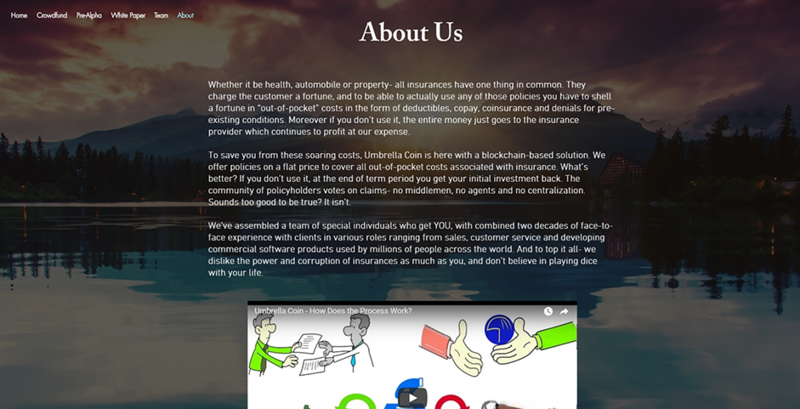 We admire the fact that Umbrella Coin is differentiating itself from other insurance blockchain projects. After reading their whitepaper, analyzing their concept and going over their web site we were impressed. The concept they have put together makes logical sense and we can definitely see the modern day use in it. 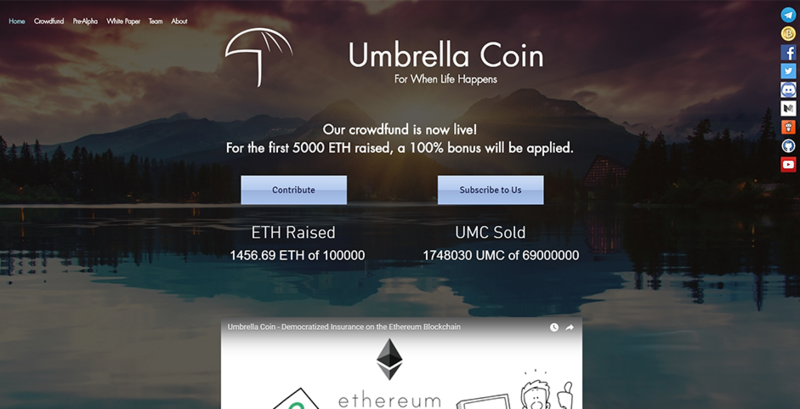 Another positive note is that Umbrella Coin had a prototype built before their official crowdsale, which gives us the confidence that they are in it for building an actual product, instead of just asking for money. 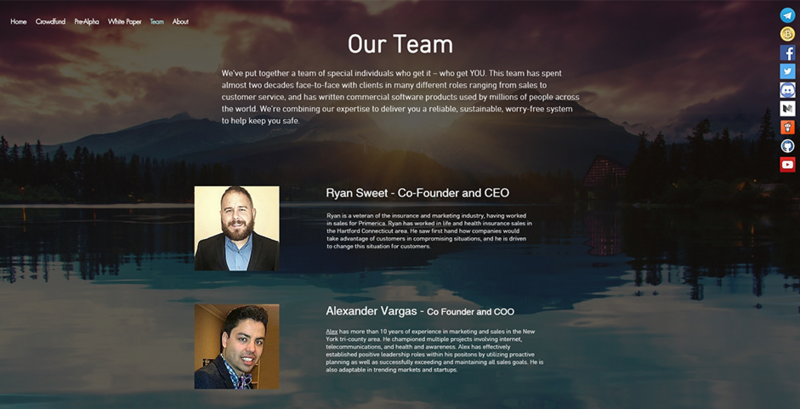 Overall this coin could be great. 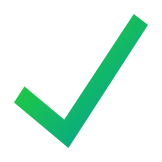 Investment wise, we wouldn't personally invest much (if anything) in the project as the concept isn't up our alley nor does it overly appeal to our type of investment. Having said that, the product could still do very well and bring in a great return on investment for someone who understands the industry and concept well enough.